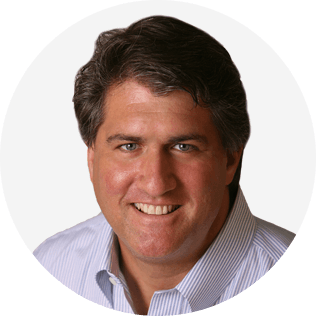 Andrew Neitlich is the Founder and Director of the Center for Executive Coaching. Professionals from around the world hire him — and the Center for Executive Coaching — to learn and get certified in best-practice executive coaching skills and methods. Graduates have come from top organizations including: Microsoft, Deloitte, Booz Allen, the Department of Defense, NASA, the US Air Force, US Marines, Cisco Systems, Brown University, Partners Healthcare, New York Life, Aflac, The NBA, Fedex, Macy’s, Stryker, Ralph Lauren, Kaiser-Permanente, Microsoft, Allstate, Ascension Health, AT&T, Bank of America, Procter & Gamble, Coca-Cola, & Bristol-Myers Squibb. After earning his MBA from Harvard Business School, he rose through the ranks in a major management consulting firm, and then built his own consulting, training, and executive coaching firm. Clients have ranged from CEOs of start-up technology firms to partner at consulting firms and Fortune 500 executives. With that experience, he founded The Center for Executive Coaching, which over the past two decades has become a leading coach training organization. We are unique in the market because of our focus on practical results and our best-in-class coaching methodologies and toolkits. He is the author of Guerrilla Marketing for Coaches, Coach!, and the Way to Coach Executives. He also developed the Coach Master Toolkit. Learn the key areas of inquiry when coaching leaders in a new role, including C-suite leaders and middle managers. 2. Learn how to apply the framework to C-suite executives and middle managers, using case studies. 3. Practice coaching so you learn the material.